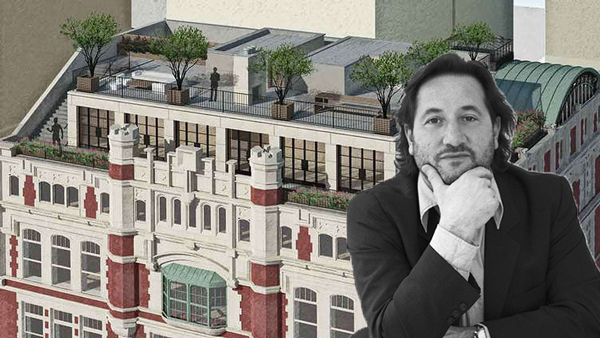 Cary Tamarkin isn’t bending on his targeted sellout of $161 million. Despite the glut of luxury homes flooding the market, the developer is launching sales on his Upper West Side luxury building at 555 West End Avenue and asking the same prices he announced in 2015, according to Bloomberg. The cheapest apartment starts at $7.9 million while the building’s two penthouses are asking $18 million and $22.5 million apiece. In brief, he’s holding out that his conversion of the 1908 building, which used to be a Catholic school, will be unique enough to compel buyers to commit and has even suggested that prices could stand to climb higher. “When I walked through it recently, I thought: We should actually raise prices … not by being a greedy developer, but because we think the value is there,” he told Bloomberg.